Dior Cheek & Lip Glow is a multipurpose neon jelly for enhancing natural flush on the cheeks and lips. Let's say it's similar to a cream blush but with totally different watery jelly consistency. It add a flush of color with additional lit-from-within glow without any shimmery particles. Universally flattering concept comes in a neon punch pink color and translates a fresh semi-transparent natural pink on the cheeks. Consistency is beautiful as it is lightweight, non-sticky and cooling. But that's not all. Jelly also has staining properties and can be easily categorised as a jelly tint. Stain lasts on the cheeks for the entire day, while manages to stay on the lips for good 4 hours. Product has a subtle sweet mint scent and taste which is not overpowering. As for the packaging, Cheek & Lip Glow comes in the same bottle as Dior nail polishes with two caps. It's truly an eye catcher. Applicator is a chubby, soft cushion ball which makes the whole experience even more enjoyable. It's like a soft, soothing pillow for your lips. You can precisely apply it on your lips for a gradient effect or dot and blend along your cheeks. It's in no way as pigmented as it looks in the bottle but slightly transparent for easier blending. You can easily layer the product for a more ''doll like look''. Negative aspects? There are two or three main concerns I have with Cheek & Lip Glow. First of all, product works only with light/medium coverage foundations and best on bare skin. Jelly consistency unfortunately moves your usual foundation, especially if it's oil based. Foundation is slightly removed/moved or looking less pigmented with this product on top. It's nothing major but if you particularly like heavier foundation to cover imperfections on your cheeks, they will show through. Product is meant for enhancing natural, fresh look which makes the whole ''heavy foundation issue'' logical in a way. Product still works over light and medium coverage foundations. Second property you might dislike is application. Quick blending is the key as it can stain beforehand if you leave dots on the cheeks for over a minute. And the third, biggest issue was brought up on my Instagram. While a vibrant semi-transparent pink transfers on my light skin perfectly, it's barely visible on tan, darker skintones. I suppose it works the best on light and light-medium skin. Layering could be a possible solution. I'm in love with my Dior Cheek & Lip Glow. It's perfect for longlasting fresh effect while it's not overly pigmented and consequently, friendly to all fair ladies. 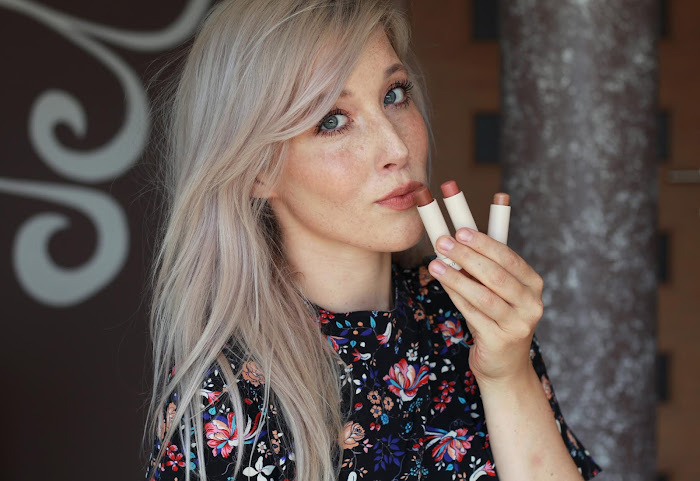 Stained pinkish lips and glowing cheeks truly look like a natural flush. It's definitely not a ''must try'' product but it has an unique concept and jelly texture, perfect if you're striving for natural look. Nevertheless, if the price point still terrifies you, try more pigmented jelly tints from trendy Korea instead. All in all, they are an affordable option that inspired giants like Dior. Dior Cheek & Lip Glow retails for 35-38,07€ on all Dior counters worldwide. You can also find it online on FeelUnique and Escentual. That looks so beautiful on you! 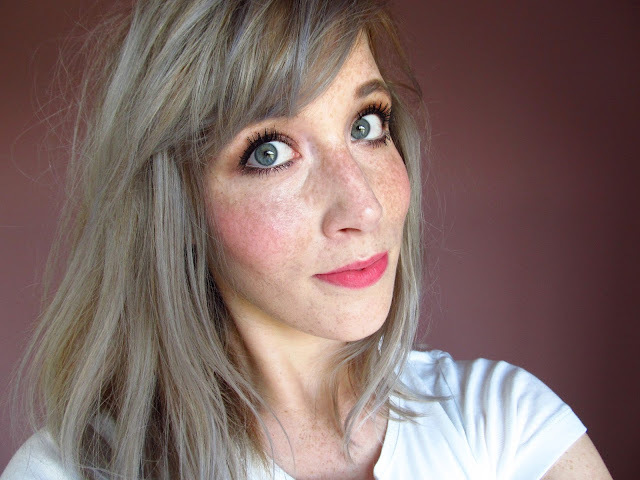 I love how it doesn't cover your freckles. This is such a lovely product and it looks so natural! The jelly consistency sounds like it would work so well. I have tried a few liquid lip and cheek tints and where they were more liquid, it just seemed to rub back off again on application. Sound like the Dior take does much better! This actually looks much nicer on that I expected, think I need a try myself! 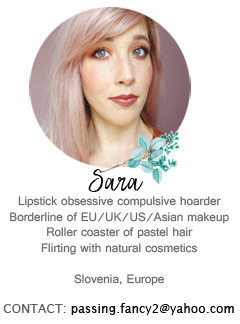 Nice to be here in this wonderful blog with many great beautiful posts on makeup and related aspects. I can see this blog as a great place to learn new beauty tips and practice them accordingly for every passionate persons. I'm a resume writing service personal and I make use of this kind of fantastic blogs to be updated with newer things happening around every aspects. Thanks for great information and wish to see more useful contents from you in the coming days.